Skip to content Call (805) 422-3176 for Carpet & Rug Repair, Dyeing and Cleaning Services! Simi Valley Carpet Repair Pros: Get Your Free Estimate Today! 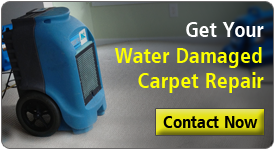 At Simi Valley carpet repair pros we provide wide range carpet repair services to our clients. Carpets, each year, accrue a lot of dirt, dust, and stains. But, when this occurs, you don’t need to immediately replace it with a new carpet. The experts of Simi Valley carpet repair pros have the expertise and skills to make a stained carpet look new without replacement. Our certified technicians adhere to quality standards set by the Institute of Inspection, Cleaning and Restoration Certification (IICRC). This means, our technicians are well resourced with the latest technology and techniques to ensure that best carpet repair services are offered to clients. The staff of Simi Valley carpet repair pros is hard working, honest, smart, passionate, and skilled. Our folks are prepared to handle all types of carpet repairs. We offer residential and commercial services at reasonable rates. Whenever you require assistance with your carpets, feel free to call us at (805) 422-3176 or drop by our office at your convenience. We support the Herman of Simi Valley High! The carpet repair staff of Simi Valley carpet repair pros is wonderful craftsmen who carry years of experience in the carpet repair industry. Irrespective of the scale and type of damages, our technicians will repair your carpet by employing high industry standards and carpet repair techniques that are established by the IICRC. Simi Valley carpet repair pros believe that it is always better to repair a carpet than replace it. Of course, if the carpet is severely damaged, then a replacement is inevitable. However, our certified technicians would want to make sure that you are definitely getting the most from your original carpet. Since we are a well equipped company, be assured of receiving an unprecedented carpet repair experience from us. Our staff will employ only the best solutions for repairing your carpet. We have helped hundreds of carpet owners in getting their carpet back to its original condition, despite severe damages, which were thought to be irreversible. So, have faith in our skills and abilities, and allow our experts to do the needful. We are available to fix varied problems pertaining to your carpet. Stains, split seams, ripples, tears and burns, are some of the problems that we can fix. Call us and discuss your carpet problems with our very friendly staff today. Our experience in carpet patching makes us a reliable and preferred choice for sufficing all types of carpet patching needs. Our skilled technicians have mastered the art and science of carpet patching. We do the patching work so tastefully that only you will know where the patching work is performed. But, of course, sometimes, since a new piece of carpet is patched, which looks new, it is possible that you may find a distinct difference in the appearance of the original (older) carpet. However, let a little time go by, the patched area will fade and blend well with the original carpet. Broadly speaking, the service of carpet patching is often required when some bleach drops on the carpet, a hot iron or hot hair straightener accidently falls on the carpet, or when a dog or cat has scratched a part of the carpet. To avail our carpet patching services, call our experts now. If you have stained carpets or sun faded carpets and are thinking of going for a replacement, especially when professional cleaning too did not clear the mess, then think again. Carpet dyeing service of Simi Valley carpet repair pros is what you need. Our carpet dyeing techniques are full proof and effective, and they even cost less than replacing a carpet. To restore specific areas that are stained by chemicals or red wine. Carpet dyeing can only work on wool, silk or nylon carpets. It is advisable to get in touch with our experts to inspect your carpet and accordingly give suggestions. Berber carpet repair services of Simi Valley carpet repair pros are all you need to restore a Berber carpet to its original state. To repair a Berber carpet, one requires specialized knowledge and our experts have that knowledge and experience. 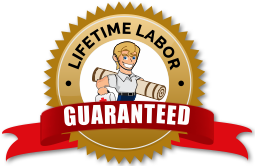 Our technicians have extensive knowledge and experience in performing Berber carpet repairs. We do a fantastic job in replacing sections and repair holes in the carpet. Due to continuous foot traffic and humidity, a Berber carpet can develop wrinkles and bulges, which can massively ruin the aesthetics of the room, let alone causing injury from tripping. Therefore, restoring a Berber carpet is profoundly significant. With over many years of experience, experts of Simi Valley carpet repair pros can provide every service needed to restore the original look of your Berber carpet. We know that a Berber carpet plays a vital role in increasing the beauty of a room, and hence, our experts will take proper care of all of your Berber carpet needs. All you need to do is give us a call and allow our experts to come and repair your Berber carpet. One of our specialities include rug repair. Years of experience in rug repairing industry have made our technicians, experts in rug repairing. Today, thanks to our staff, Simi Valley carpet repair pros is a front runner in the rug repairing arena. Our craftsmanship is beyond comparison. We take immense pride in our rug repairing techniques and methods. For years, we have helped hundreds of clients to get their rugs back to original state. At Simi Valley carpet repair pros, we take customer satisfaction very seriously. And so, we offer excellent customer services to all our clients. To know more about our rug repair services, kindly call us at (805) 422-3176. Our friendly staff will be happy to assist you. Don’t we love our pets! Aren’t they cute as a button! Sure, they are. But, sometimes, they can act real naughty and create a mess in our homes. From our experience in the carpet repair industry, we know for a fact that pets are often a primary cause of mild to severe carpet damages. When pets are trapped in a room, they can scratch and chew carpets, thinking it will release them from the trap. Pets, particularly that are new to a home are more prone to such kinds of behaviours. In addition to chewing carpets, pets can also cause another common problem, i.e. urination and defecation. Such behaviours are rampant and does cause damage on the carpet. Home owners need not worry in such situations. Simi Valley carpet repair pros offer amazing pet damaged carpet repair services at affordable prices. Our offered solutions are effective and easy on the pocket. Not only do we fix pet damaged carpets, but we also remove smelly pet odours from the property. All you need to do is give us a call and schedule an appointment for a visit. Our qualified team of experts will then offer you an obligation-free estimate. As long as the carpet is properly installed, you shouldn’t have a problem. But, if it is improperly installed, then you might begin to notice a few differences at the carpet seam. This is the time when you need our services of carpet seam repair Simi Valley. For many years we have offered our services to residential and commercial clients. As a matter of fact, we get calls each day of the week for carpet seam repairs. Generally, these carpet owners also have pets in their homes, and the pet claws up the carpet seam when they are closed in a room. And hence, seam repair becomes inevitable. Our hard working carpet repair guys would be happy to assist you. So, call us now. When the carpets are not installed properly, you will need carpet stretching services in the future. If you already see wrinkles and buckling at the edges of the room, then it’s time to address this issue. If these issues are not addressed immediately, these wrinkles can spread rampantly in number and size. These wrinkles are dangerous since they are not easily seen with the naked eyes. Particularly, the kids and the elderly are more susceptible to falls. Once the carpet begins to wrinkle or buckle, ensure that you call the carpet stretching experts of Carpet Repair Pros Carpet Stretching immediately. Re-stretching a hallway carpet isn’t an easy job. This task certainly requires specialized skills and expertise from professionals of a reputed company. Since most hallways have multiple doorways, re-stretching the carpet can be a challenge as the carpet is seamed together in the doorway transitions. The technicians of Carpet Repair pros will employ effective techniques and methods to make sure that the carpet is properly stretched in the length and width of the hallway. If you are looking for a dependable hallway carpet re-stretching crew, then look no further. Call us at (805) 422-3176 and let our team of experts do their job. Simi Valley Carpet Repair Pros: A No.1 Choice For All Your Carpet Repairing Needs! We have been in the carpet repair industry for years, sufficing varied carpet repair needs of our clients. For us, customer satisfaction is of utmost importance, and hence, our carpet experts go out their way to ensure that they have exceeded customer’s satisfaction. At Simi Valley carpet repair pros, we strive hard to make sure that your experience with us is seamless. To know more about our staff and services, call us at (805) 422-3176 today! Rated: 4.3 based on 4,112 ratings.